GDM Finance SARL is a company focused on asset management, investment consultation and finance and taxation consultation. So, it is providing investment services and advice. The company is based in Geneva, Switzerland. The average return on capital the company is achieving allegedly is more than 20% per year. We made a researched about GDM Finance SARL and found the following problems. GDM Finance SARL is clearly providing investment services and that is a regulated activity not only in Switzerland. It requires a licence from the national regulator in Switzerland, which is FINMA. The problem is that GDM Finance SARL is not authorized by the FINMA to provide investment services. It is a company that is not regulated. 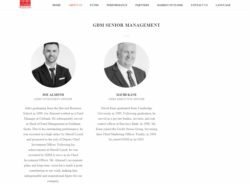 The website of GDM Finance SARL says that Gianni Di Martino is the chairman, but according to the Swiss register Zefix he no longer is in that position, he resigned in April 2018. The new chairman is Antonius Kristanto from Indonesia and the new “gérant” is Jonathan Curci. 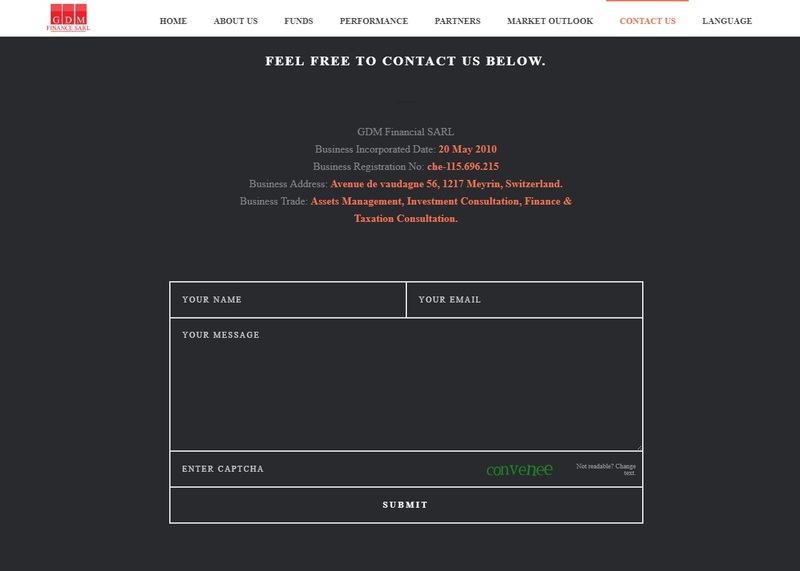 But the GDM Finance SARL website does not mention these names. 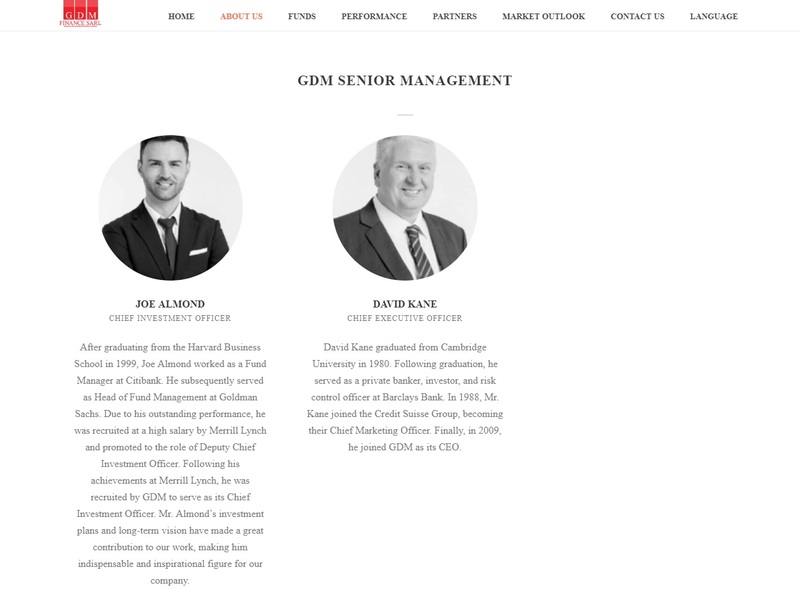 Instead the website shows Joe Almond as chief investment officer and David Kane as chief executive officer. And here comes another problem, it is impossible to find any online information about these two men, despite their alleged careers at big companies like Goldman Sachs, Merrill Lychn, Barclays and Credit Suisse. This is very strange and to us it seems that Joe Almond and David Kane are fictitious persons. Want to contact the company to verify their credentials? 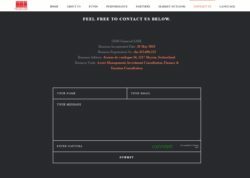 Very hard, since they don’t provide any phone number, just an address. And of course no regulatory information. 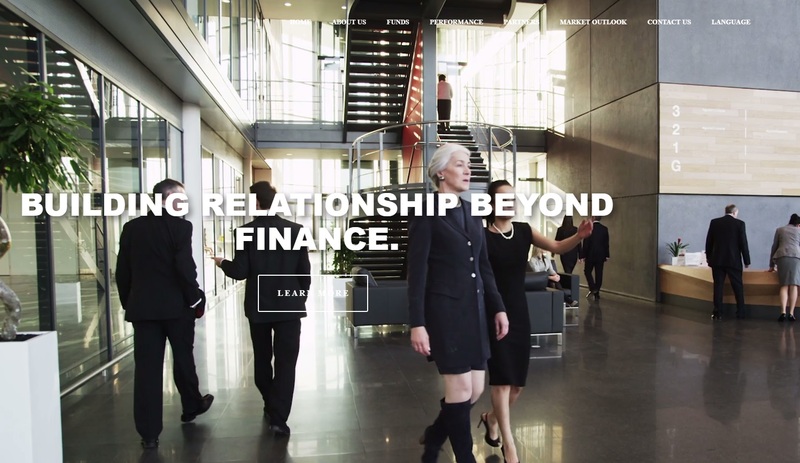 GDM Finance SARL is not regulated and there are some red flags about people allegedly running the company. We recommend extreme caution when dealing with it. As always, if you do want to do your own trading and not rely on dubious third parties, start learning on a free demo account with a regulated broker. Don’t forget that trading can bring you not only profits, but also losses, so be careful. FINMA license is required if we are helping mass individuals to deal with forex, stocks, shares etc directly.. What we are doing doesnt require to have FINMA cause the company is dealing/trading directly between the companies involved.. So investors are not directly involved in the trade thats why we dont required FINMA.. I don’t think so, I don’t know about any country that would regulate B2C investment services and not B2B investment services. GDM are targeting SE Asia. It’s just taking off in the Philippines. The alleged ROI is scam level. Here’s a sample FB page. There are now several just opened since September and after GDM had a big marketing conference in Thailand.